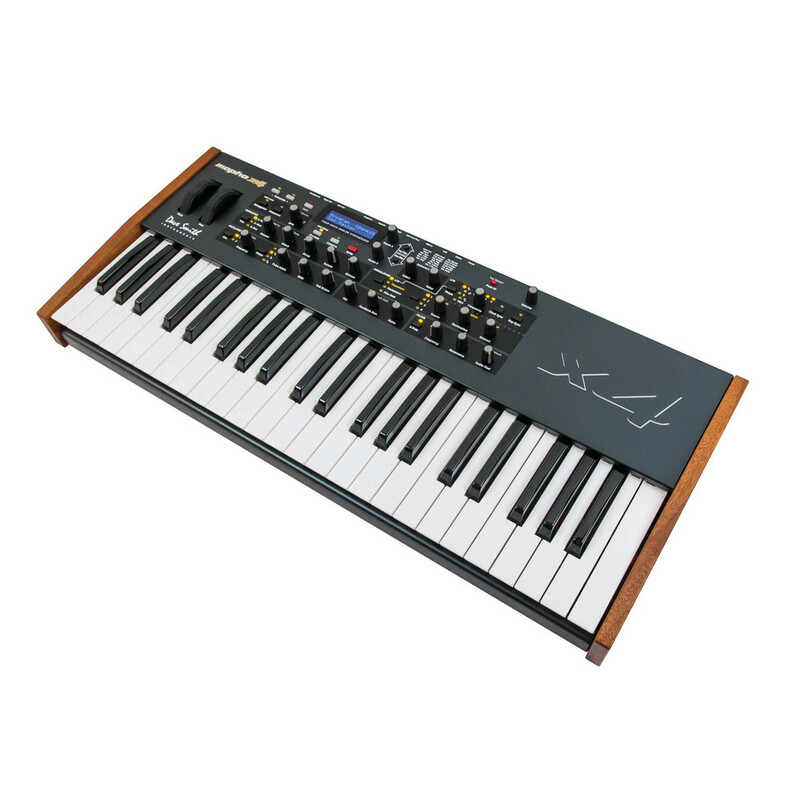 The Dave Smith Instruments Mopho x4 analogue keyboard synthesizer offers a huge sound and four voice polyphony in an elegant, portable package. 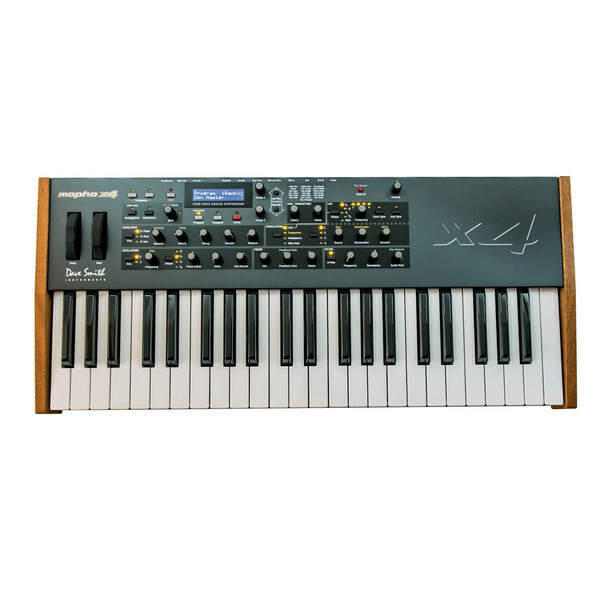 The semi-weighted keyboard has 44 full-sized keys with aftertouch and velocity sensitivity, and the polyphony can be expanded by connecting it to other products using the Poly Chain port. 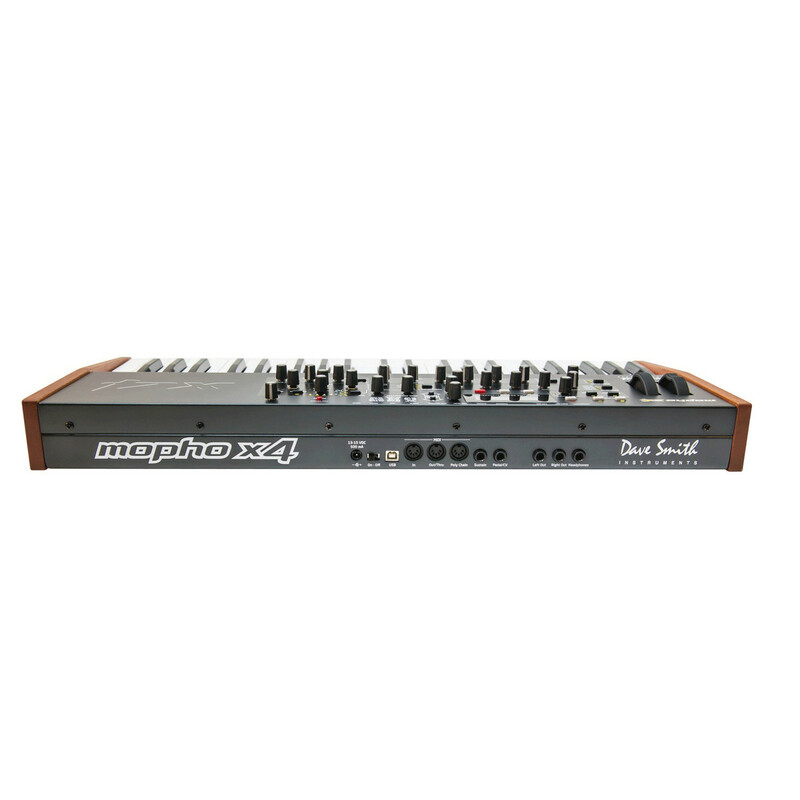 Each of the Mopho x4's four voices comprises two analogue oscillators, two sub-octave generators, selectable two- or four-pole Curtis low-pass filter, three five-stage envelope generators, four LFOs, a re-latchable arpeggiator and a 16 x 4 step sequencer. 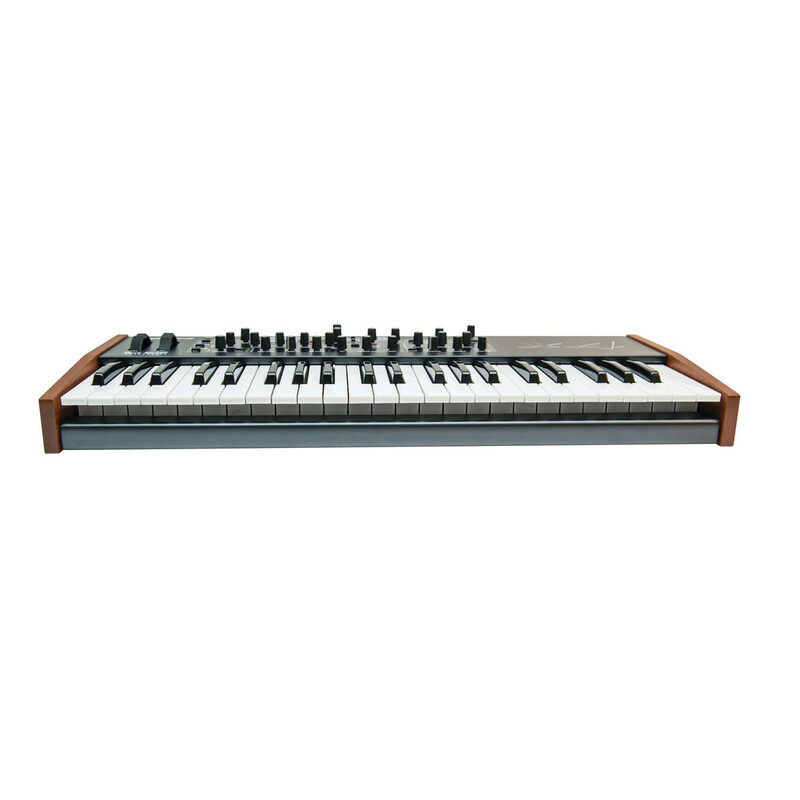 It also boasts 20 modulation sources and almost 50 destinations. Metallic bell-like sounds can be created when you FM the filter, and the feedback path adds subtle or destructive harmonic content. The powerful signal path is 100 analogue. All of the controls for the Mopho x4 are logically laid out on the front panel, meaning you can easily access them without missing a beat. Every parameter is fully programmable and editable using these controls, and the sturdy full-sized pitch and mod wheels are freely assignable and sport smooth, reliable action. 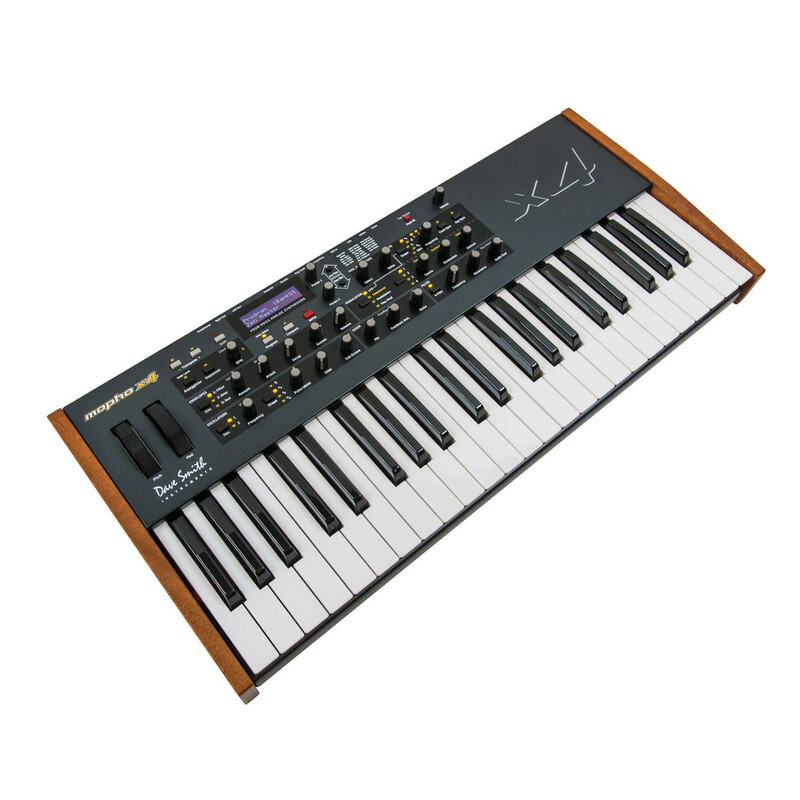 The Poly Chain port allows you to expand the polyphony of the Mopho x4 by connecting it to other products, including the Mopho, Tetra and Prophet '08. Poly Chaining three Tetras with Mopho x4 creates a 16-voice analogue super synth.